The Spa Therapy Room’s Bunny has been busy hiding eggs for our Easter Egg Hunt. There are 8 eggs to find, each with a special surprise. 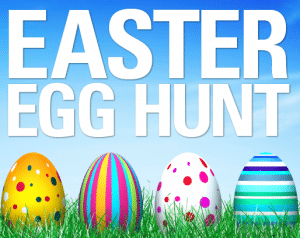 We will post clues to the whereabouts of the eggs, either through our News page, Mailing, Facebook or Twitter. Upon finding an egg you will find a number inside, return the egg and number to The Spa Therapy Room. We will give you a Easter prize that corresponds to your number. Prizes include Treatments, Products and Chocolate Easter eggs. 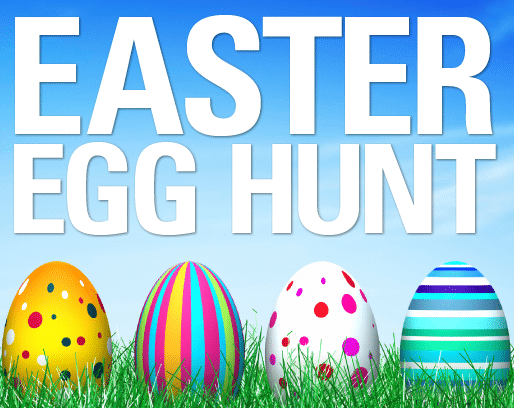 Follow our clues to find eggs that contain eggcellent prizes! It’s painted blue the same as the egg..
Sarah Trower has found egg 2 at Poligino Deli Cafe and is a lucky winner! Kirsty Burns has found egg 3 at the Friendship Bridge and is a lucky winner! I am the second smallest in England…. It’s not the front door your looking for but the back door…. You will see four pillars with a ledge and it’s on one of these that you will find a little yellow egg…. Sarah Harrison has found egg 3 at Westwood Hair and is a lucky winner! Kirsty Burns has found egg 6 at the Grace & Lace Bridal and is a lucky winner! The Spa Bunny has been to a meadow…. Although there’s a bell you won’t hear it ring…. This egg has gone for lunch… The Boss maybe nearby… Fancy a beautifully baked fruity lunch with a little coriander to the side? Then your in the right place.. The Spa Therapy Room Easter Egg Hunt is directed towards adults. Chocolate eggs may contain nuts, please read label before consumption.